Jolanta Kowalski, the Senior Media Relations Officer with the MNRF, says survey conditions were good until early January. However, she said two weeks of abnormally warm weather right across the northwest region created problems for the biologists doing the aerial count. Kowalski said surveys were completed for 3 Wildlife Management Units including 5, 7A/7B and 14. Surveys were canceled in 5 WMUs including 8, 9A, 9B, 11A and 13. Kowalski said there are no plans to reschedule the flights cancelled. She said in units that missed getting surveyed, MNRF biologists will use inventory results and estimates from previous surveys. 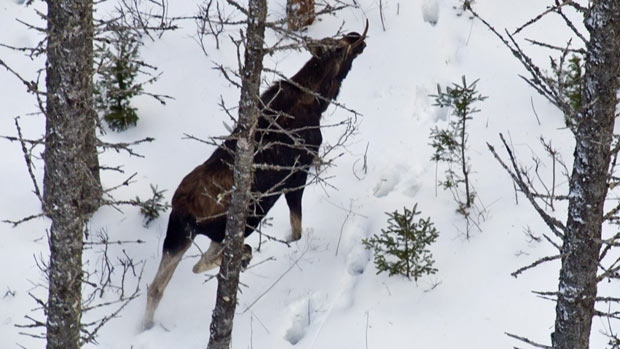 John Kaplanis, the executive director of the Northwestern Ontario Sportsman’s Alliance, is upset the ministry has had to cancel five of the eight aerial moose surveys scheduled this winter in the region. “Heavy disappointment is a very good way to put it,” he said.